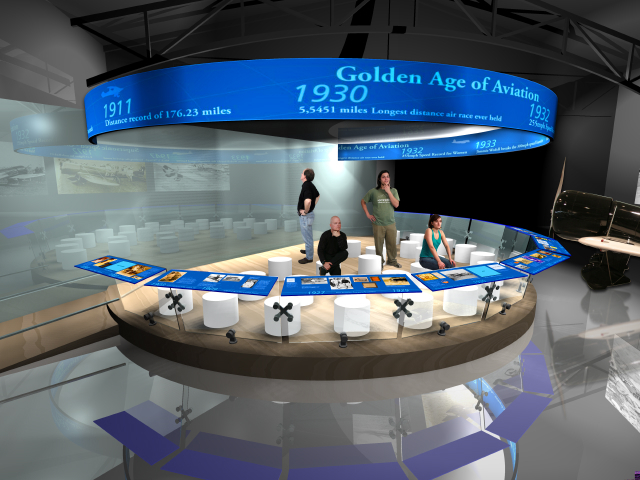 This large scale, light, sound and 3-screen video presentation transforms on cue a 9,000 sq.ft. 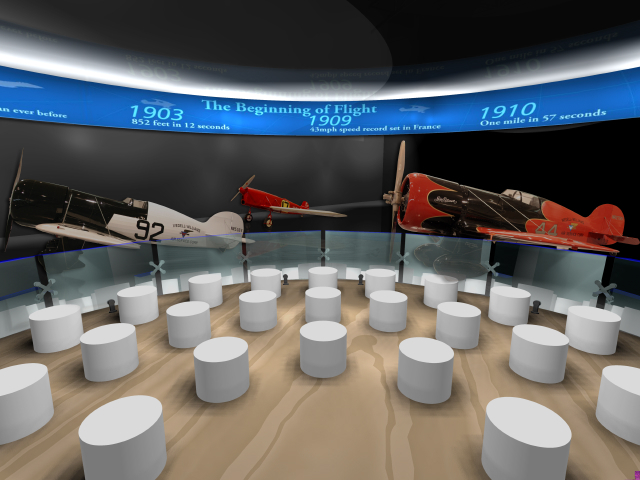 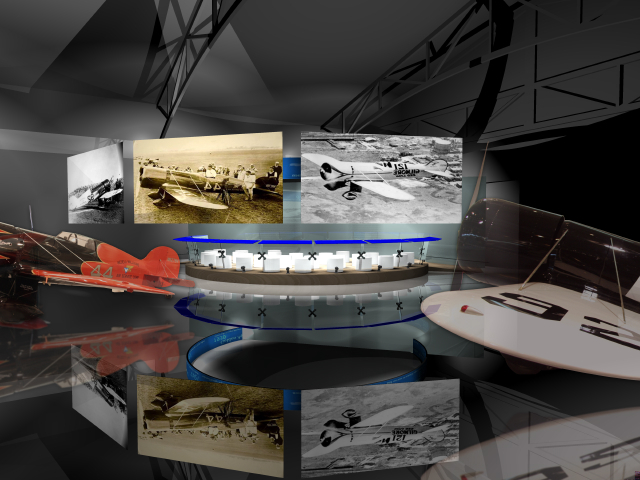 exhibit hall of historic racing planes into an object theater, presenting a dramatic re-enactment of Wedell Williams and the golden age of air racing. 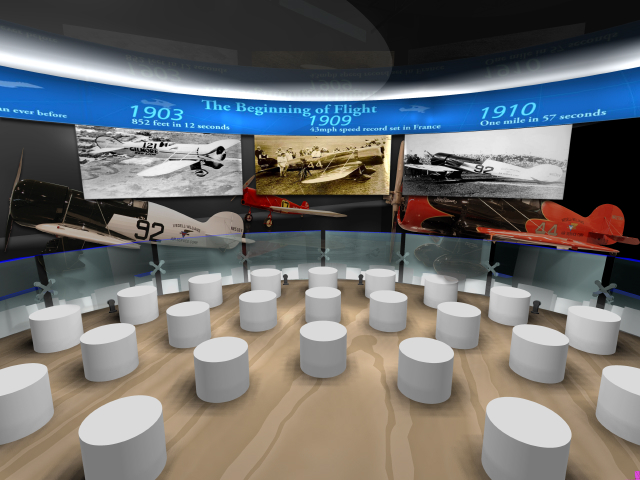 A circular stage with retractable projection screens and rotating seats hosts 45 visitors for the show that plays on the hour.